I want to take a moment to introduce myself, I am Chris Leivian, owner of Gunpowder 'N Gloss makeup on location and cosmetics for the Tuff & Pretty! I started my business in 2014 when I had my first daughter, Kelly; like many moms I wanted to stay home and be with her. Then 2016 came around and my second daughter, Ashley was born! "Oh my," I thought, if I was busy before, I will be busy now! So with all my mom duties going on I decided to create my very own brand of makeup. Whew! I guess I didn't want to sleep! My GNG lip products are for anyone who has a love for anything with a Country Vibe, as well as, beauty products that are 100% cruelty free and contain no parabens. Love my slogan: TuffandPretty? Then I offer some fun branding apparel on the site too! 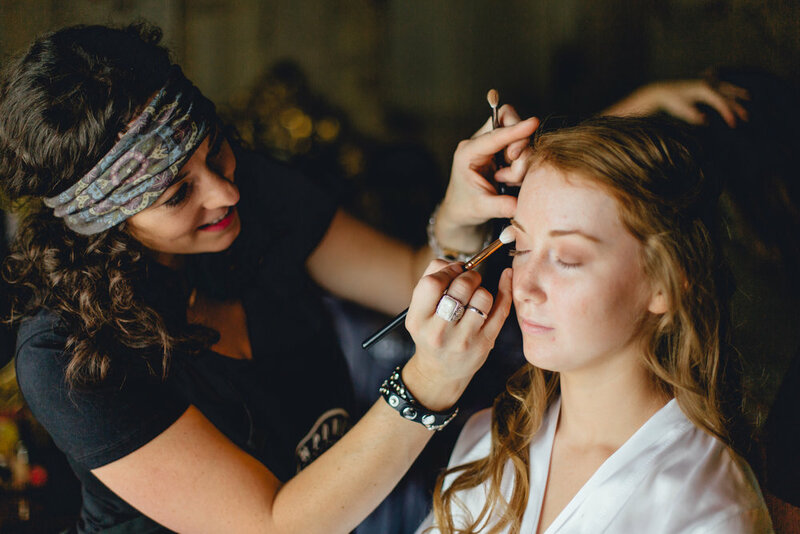 I look forward to being part of your wedding day as your personal makeup artist or for those of you browsing my website for beauty products or apparel; Enjoy!